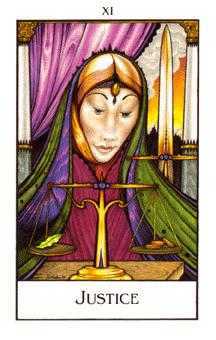 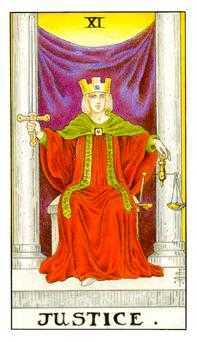 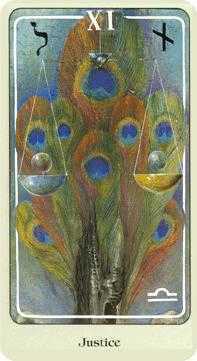 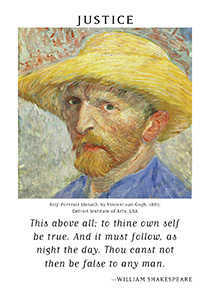 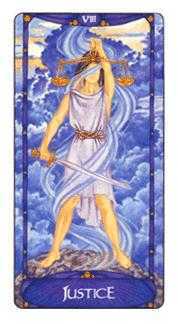 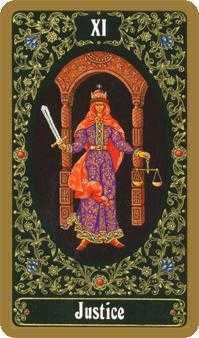 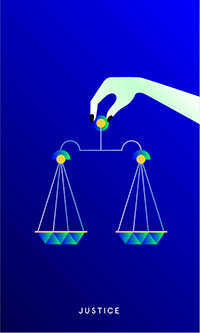 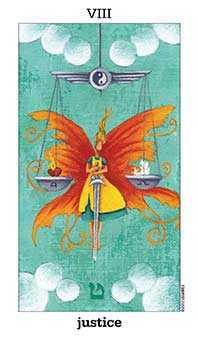 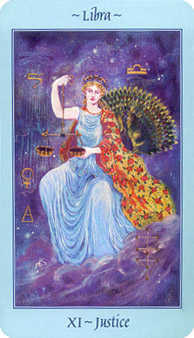 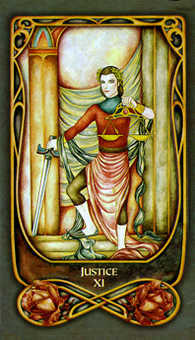 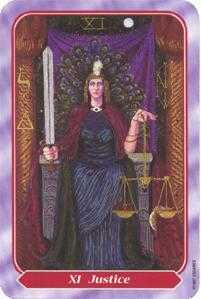 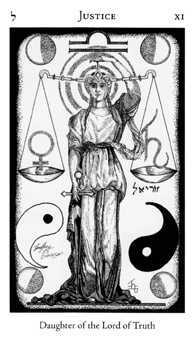 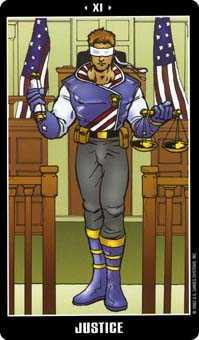 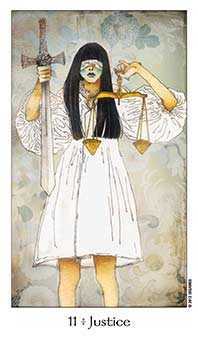 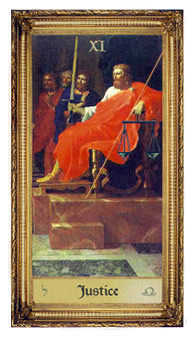 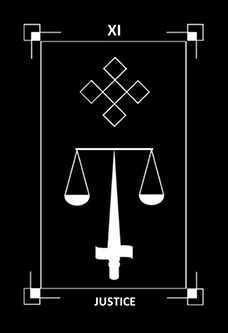 Balance the scales to support truth and serve the greatest good. 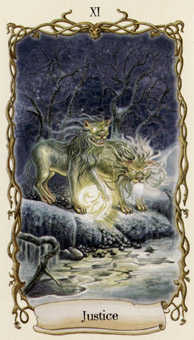 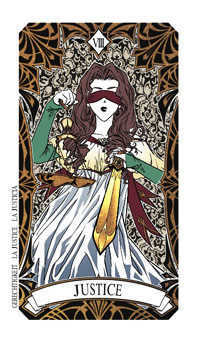 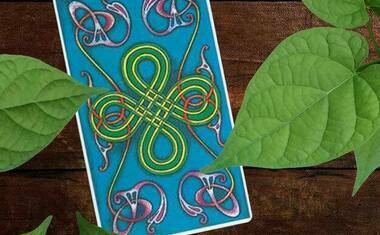 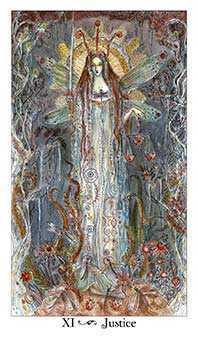 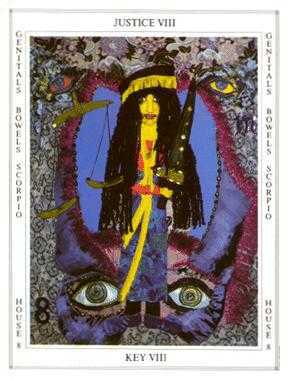 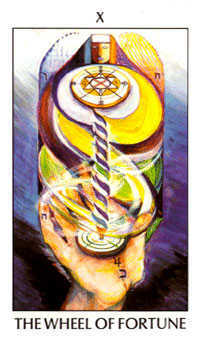 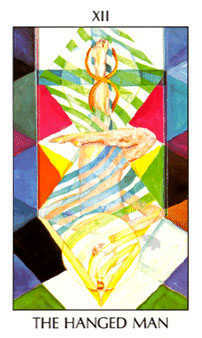 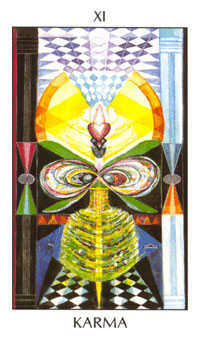 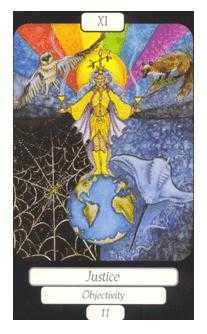 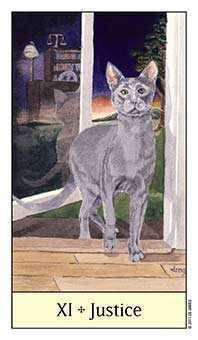 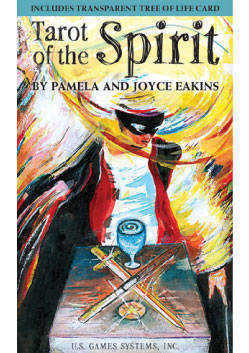 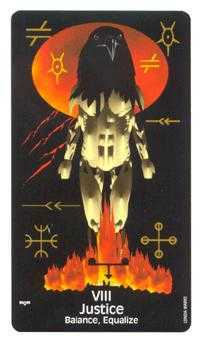 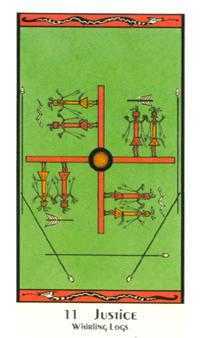 Tarot of the Spirit deck © U.S. Games Systems, Inc. 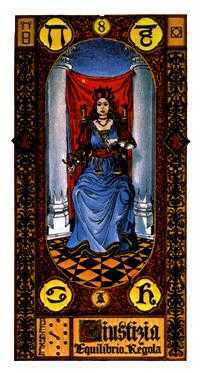 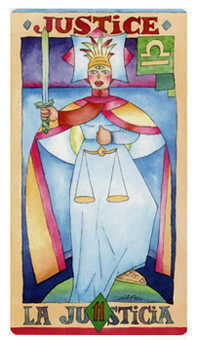 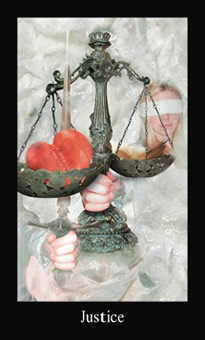 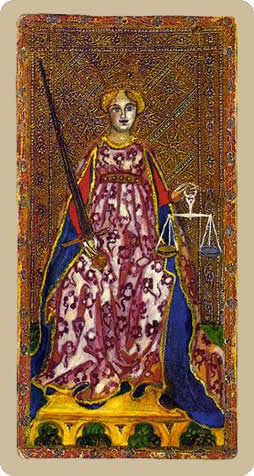 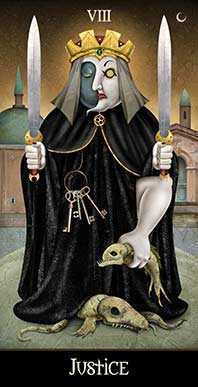 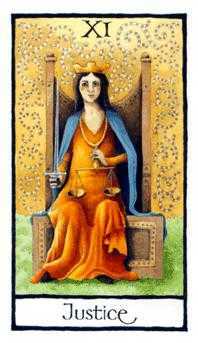 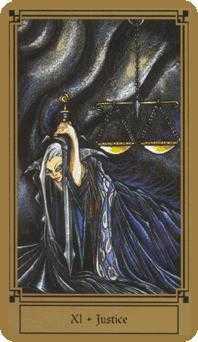 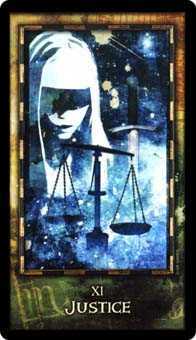 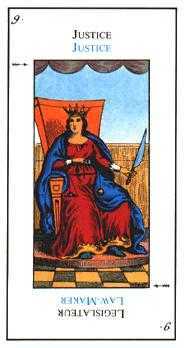 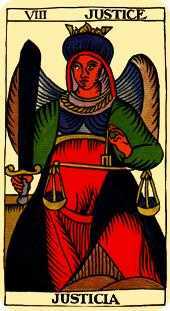 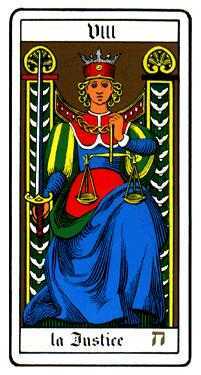 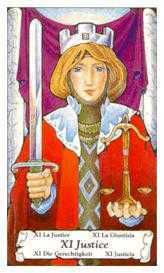 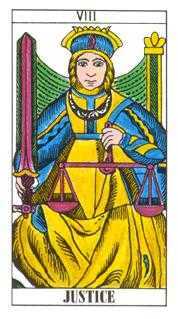 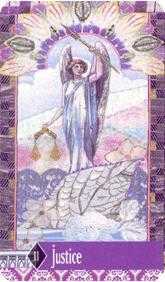 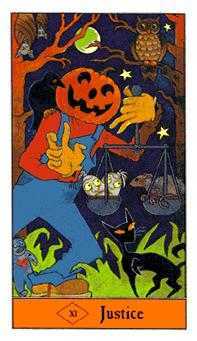 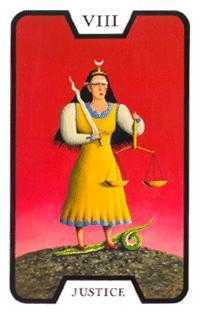 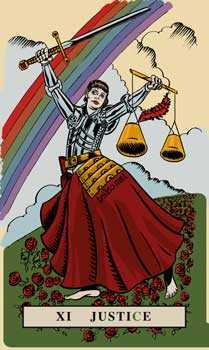 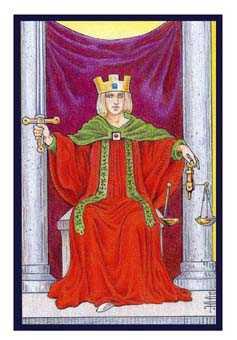 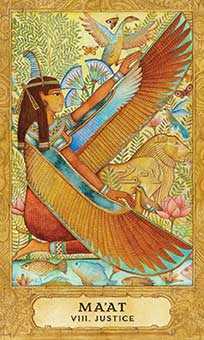 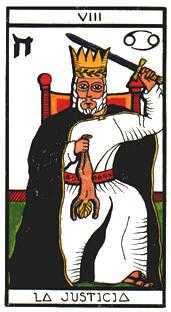 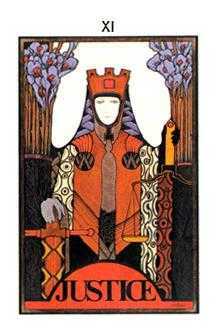 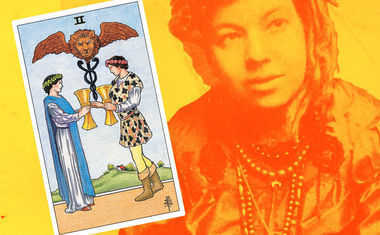 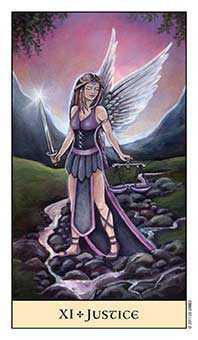 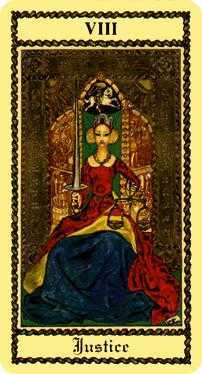 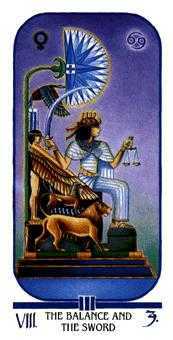 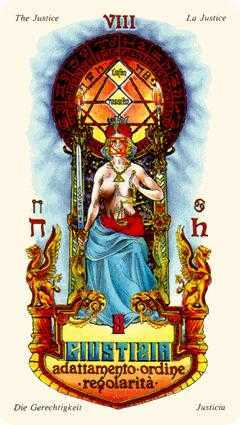 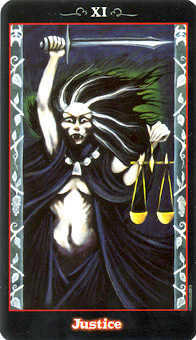 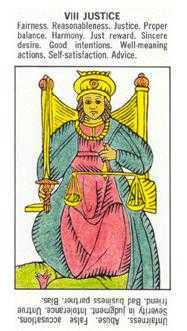 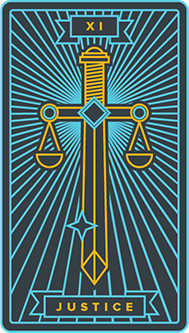 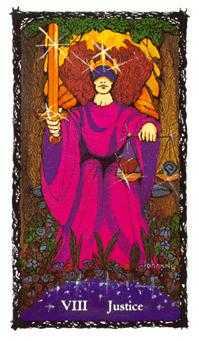 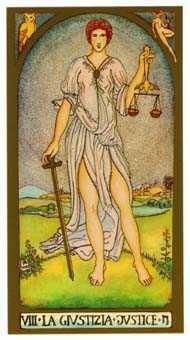 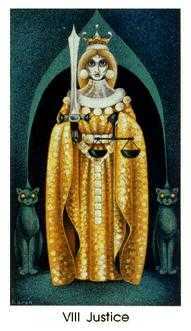 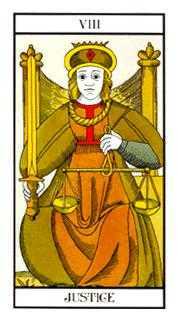 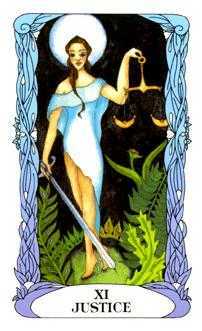 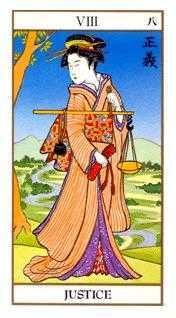 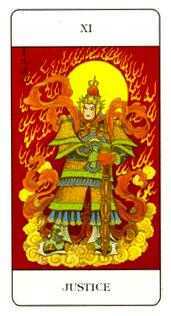 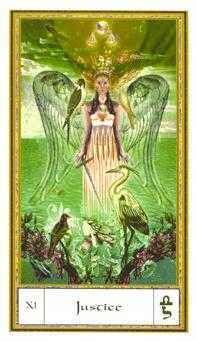 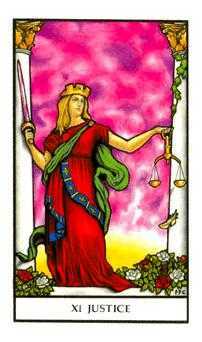 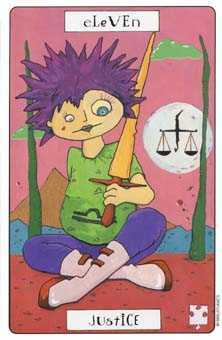 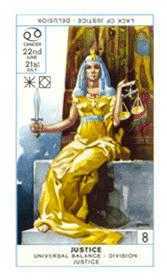 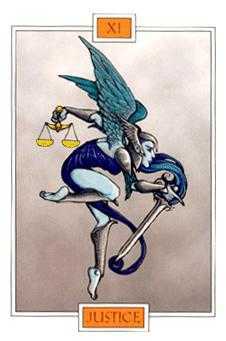 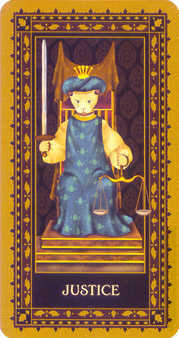 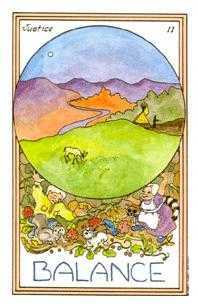 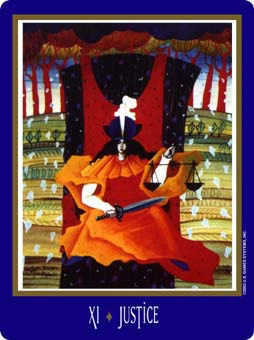 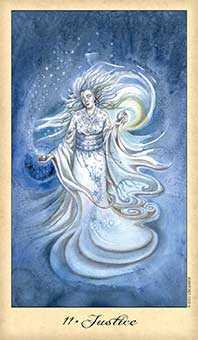 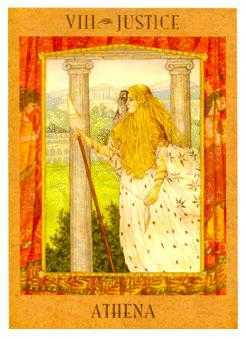 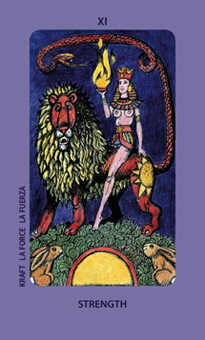 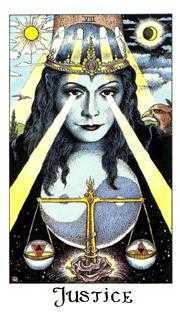 The Justice Tarot card has to do with moral sensitivity and that which gives rise to empathy, compassion, and a sense of fairness. 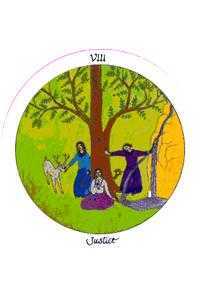 Since the time of Solomon, this image has represented a standard for the humane and fair-minded treatment of other beings. 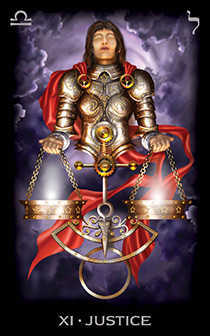 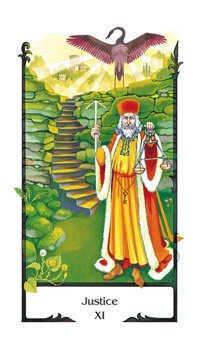 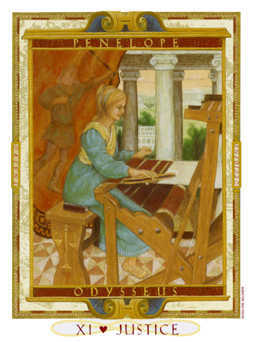 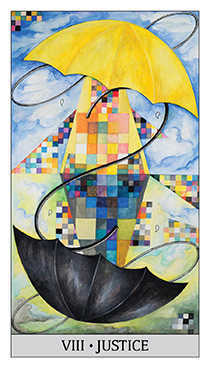 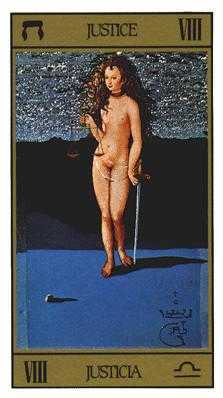 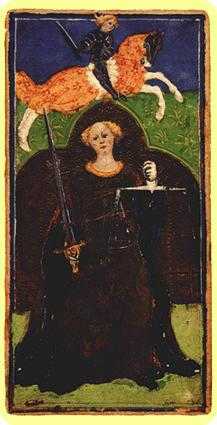 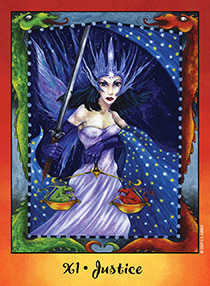 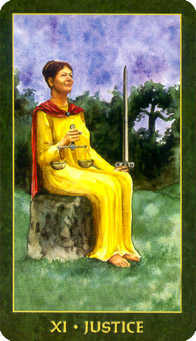 Often including the image of a fulcrum or scale which helps to balance competing needs against the greater good, and a two-edged sword to symbolize the precision needed to make clear judgments, this card reminds us to be careful to attend to important details. 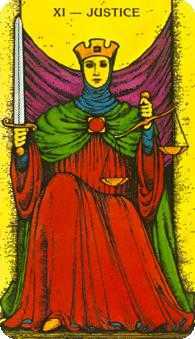 It's a mistake to overlook or minimize anything where this card is concerned. 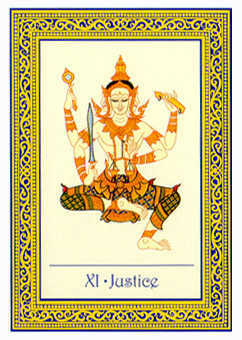 The law of karma is represented here -- what goes around comes around. 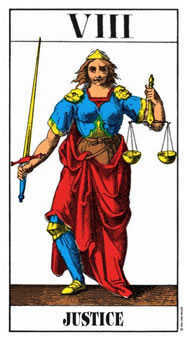 You are seen as a fair-minded party whose opinion matters. 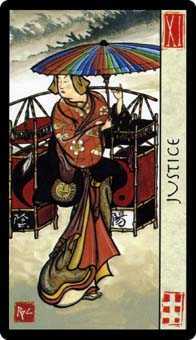 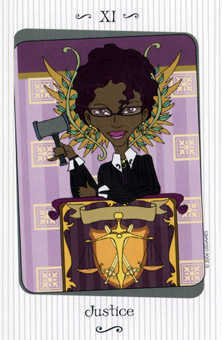 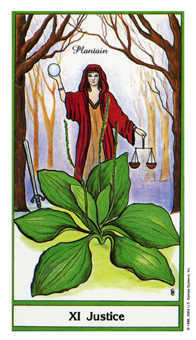 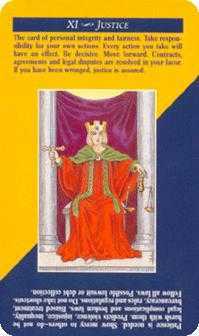 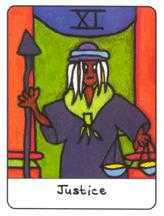 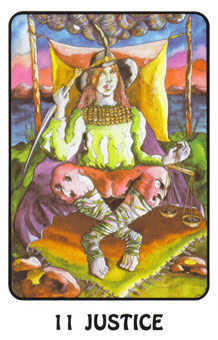 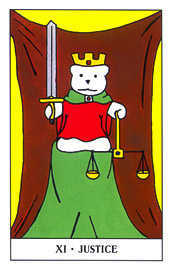 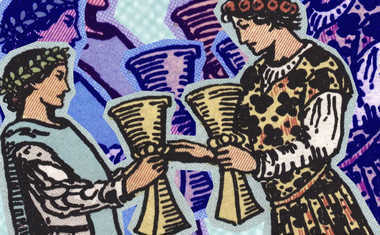 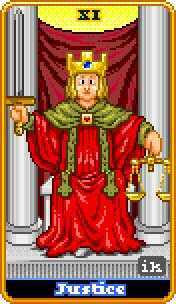 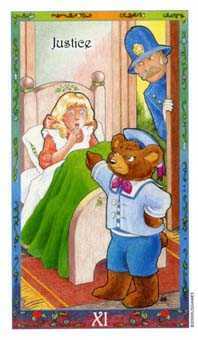 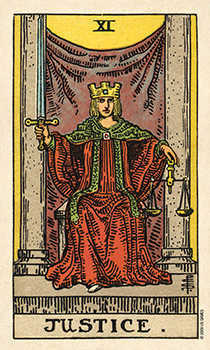 The Justice card advises you to listen carefully as others explain to you their version of events and the parts they played. 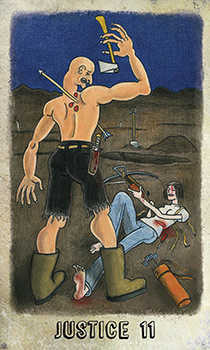 It is unnecessary to offer feedback. 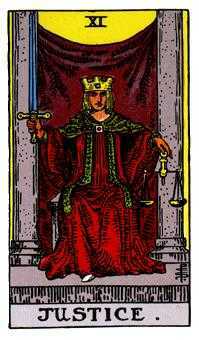 Your role is to observe, listen closely, give a full hearing and keep your wits about you as the story takes shape. 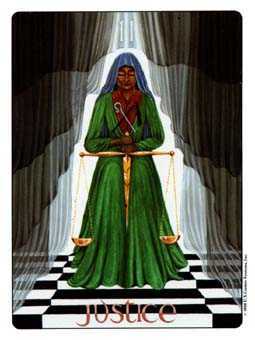 As you witness people's account of themselves, your understanding will go beyond the words you hear. 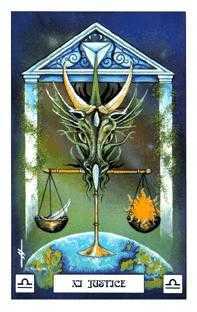 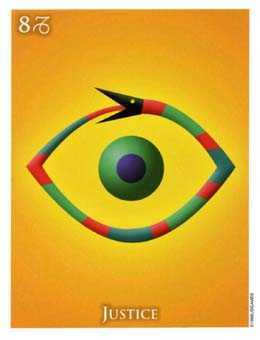 Subtle inferences and clues will reveal the truths that will enable you to make a wise and accurate assessment.